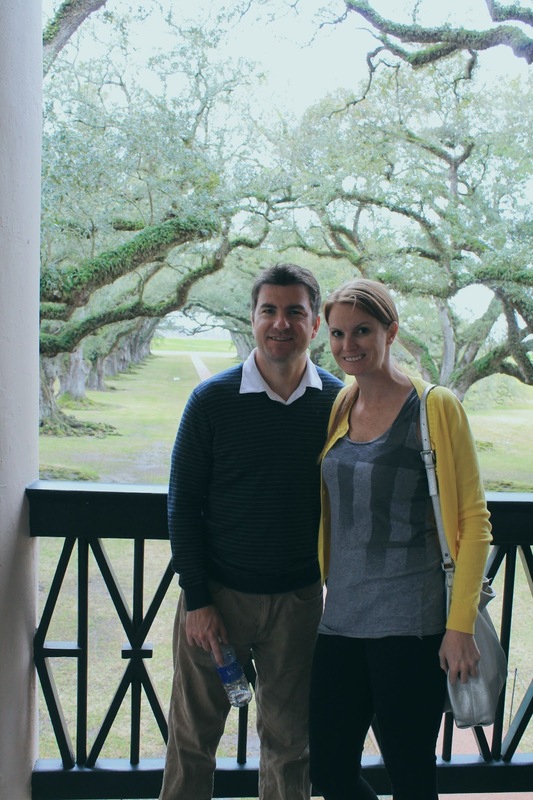 During our week long whirlwind vacation to New Orleans, we decided to take a step back in time and visit the magical Oak Alley Plantation. 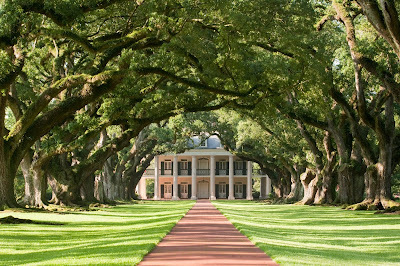 Oak Alley is a 1,360 acre plantation located about an hour away from New Orleans. 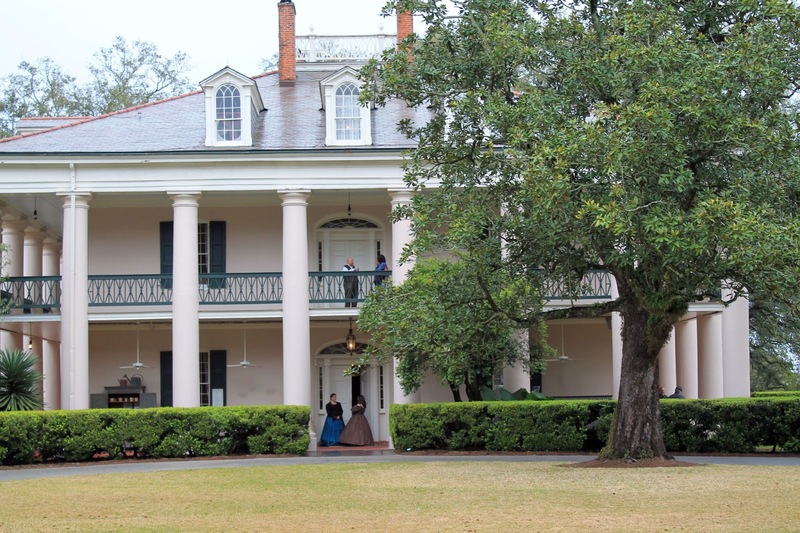 It is well worth the trip and a perfect break from the busy French Quarter. Click here for our updated visit to Oak Alley Plantation for our engagement photos. 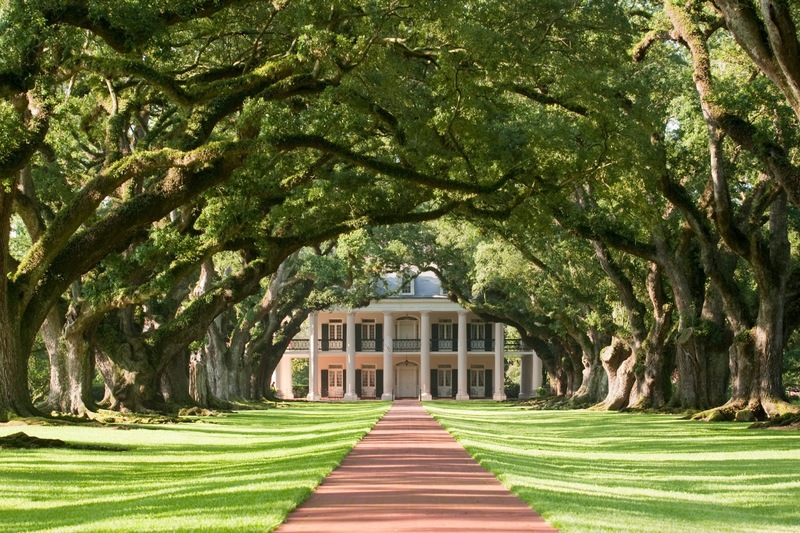 Words cannot express the beauty of this plantation. Stunning, enchanting, peaceful, I could go on and on. 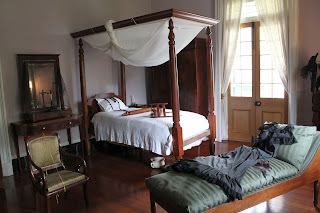 We learned quite a bit of history while at the plantation and you truly felt as if you stepped back in time while on the property. While waiting for our tour to start, we learned that the oak trees which line up the front entrance of the house are 300 years old. They were built before the house was. 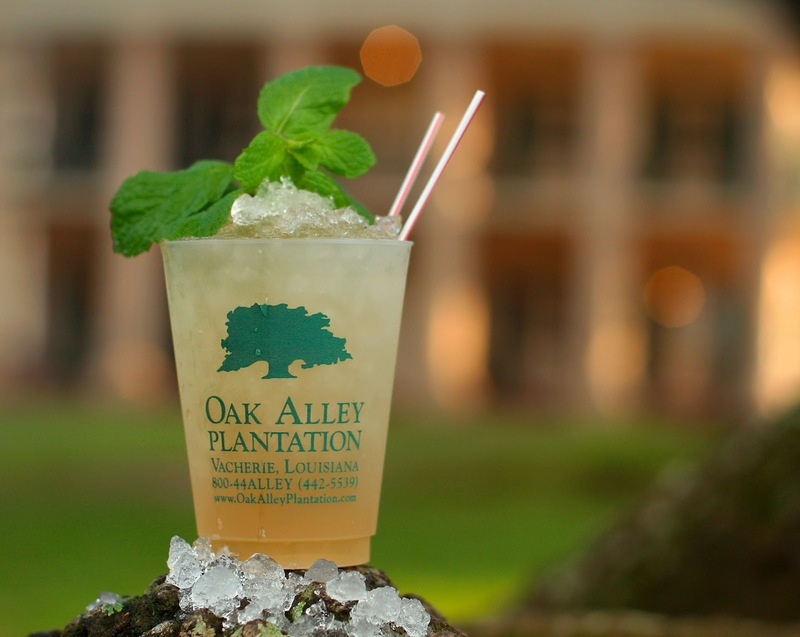 I sat there staring at the front of the house, imagining drinking a mint julep on the veranda. Once inside the house, we walked into the living room, where we learned history of the original owners of the plantation, Jacques and Celina Roman. 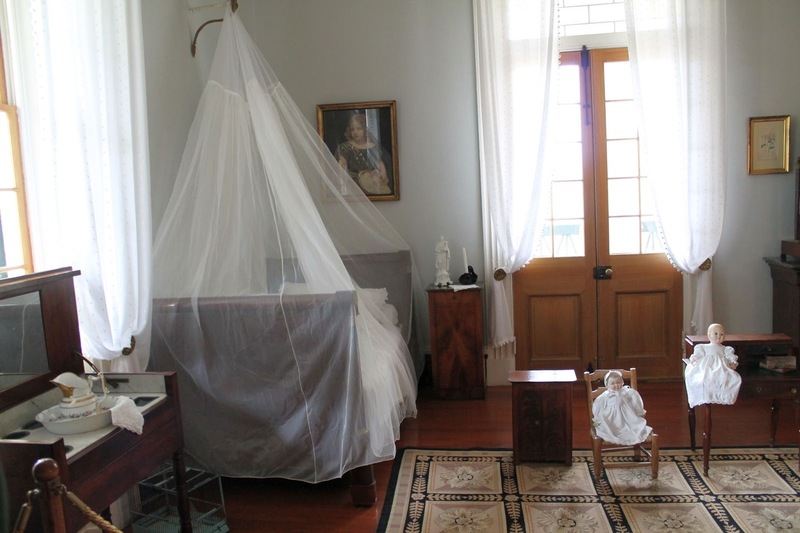 Celina's father built the house for the couple with his daughters comfort in mind. The veranda extends 13 feet from the walls, keeping the home in shade most of the day. What I found even more interesting wast that the tall windows and doors face each other, allowing for cross ventilation and the ceilings are 12 feet high. This allowed for maximum comfort during those hot summer Louisiana days. 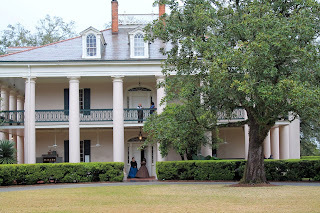 You can read more about the history of the plantation by clicking here. Across from the living room was the dining room where Celina hosted many parties. I could imagine myself back in the day being entertained in this house. If you notice, the silverware is turned upside down. This was the way the French Creole did things and would have their family crest on the back of the silver. 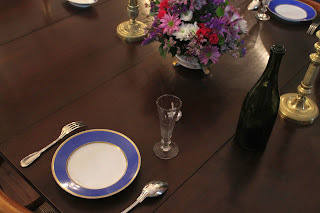 It was said that the Roman's silverware was the most expensive item in the house. After a visit to the dining room, we headed up stairs where we first were greeted with the solitary room. This was the room a sick family member who was contagious or one who was passing went. We learned that once Jacques passed away from tuberculosis and from that point on, Celina wore black until the day she passed. Across the hall was the nursery. The Roman's had 4 children, two of whom passed at young ages. 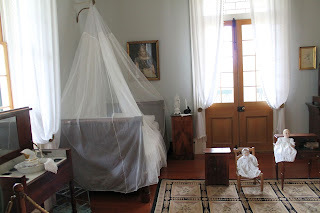 The eldest surviving son was Henri who assumed the Sugar plantations responsibility and family affairs in 1859. It didn't go so well, with Henri turning it over to the creditors for a mere $32,800 in 1866. There were many new owners at the plantation, most importantly Stewart's. 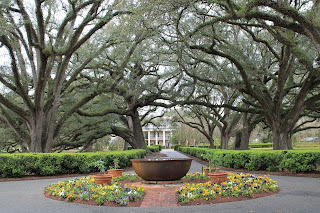 In 1925, Mr. and Mrs. Andrew Stewart purchased Oak Alley for $50,000 as the 5th and last resident owners. 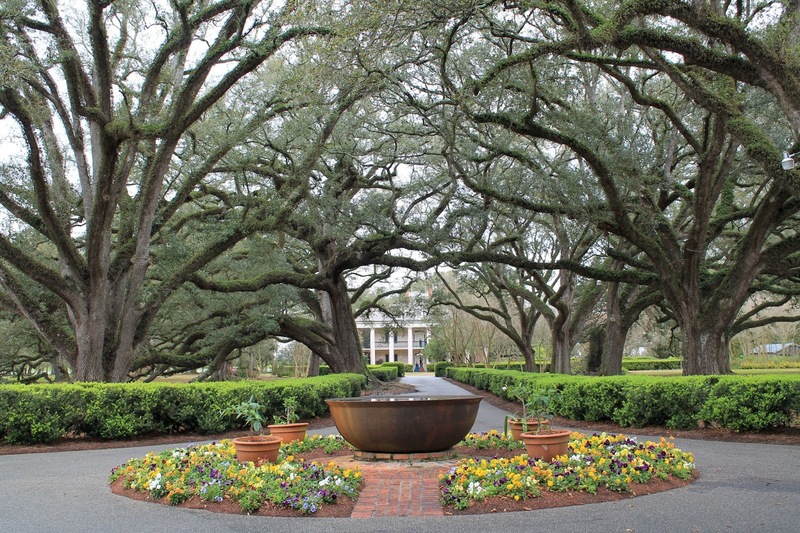 They restored Oak Alley were the ones who began the trend towards saving old plantation homes in this area. The restoration took two years at a cost of $60,000 ($10,000 more than what they paid for it). Once Mr. 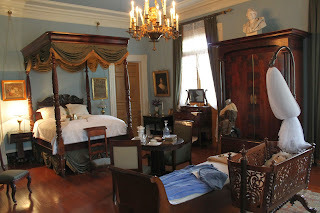 Steward passed, Mrs. Stewart moved out of the master suite pictured above. 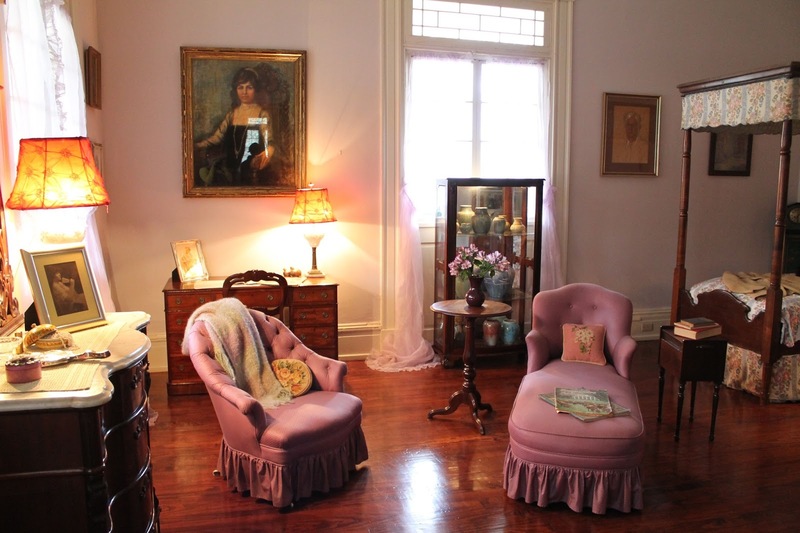 She moved across the hall into a guest suite and made the room lavender, her favorite color. 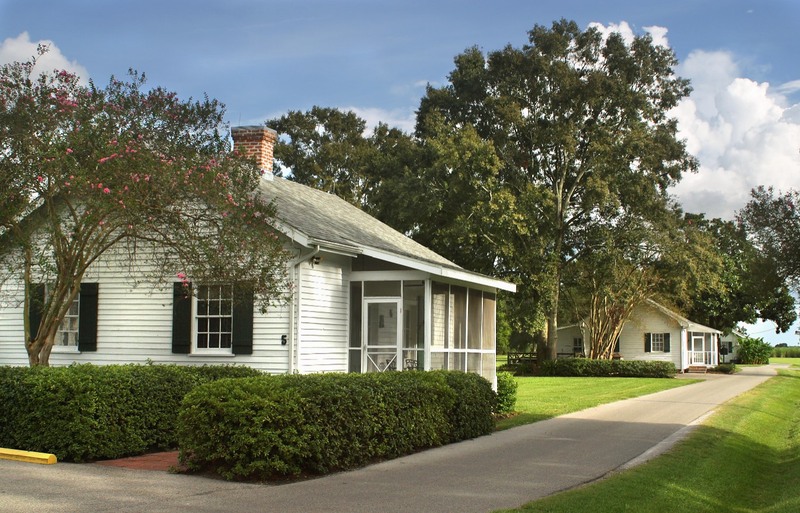 To insure the house would remain open for everyone to enjoy, Mrs. Stewart created a non-profit foundation. Update: We've since been engaged and had our engagement photos taken at Oak Alley Plantation 6 months following this post. Click here to see our photos! Oak Alley Plantation also has guest cottages which you can stay in while visiting the area. On our next visit to the big easy, we may just do this one night to get away from the hustle and bustle of the Quarter. Brad Pitt stayed at one of the cottages during the filming of Interview with a Vampire (cottage 3). Looks beautiful!! I want to go to NOLA now! We need to get Gabe to step up, now! What a seriously beautiful location! 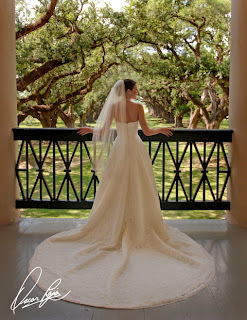 I agree: great place for a wedding. The pictures would be gorgeous.